Songs of Ireland - Pearse Museum - Áine Mulvey, M. Mus. Prior to their US tour, Áine Mulvey and Anne-Marie O’Farrell present “Songs of Ireland” – a programme commemorating the events of the 1916 Rising, in the evocative setting of the “Halla Mór” of the Pearse Museum, at St Enda’s Park, Rathfarnham. In the schoolhouse where Pearse planned the Rising and inspired schoolboys with a love for their Irish heritage, Áine and Anne-Marie will perform both traditional repertoire and Art Songs that grew out of a attempt to define a Nationalist culture that was uniquely Irish. The concert will include music by the early Irish blind harper, Turlough O’Carolan; folk songs collected by Thomas Moore; and more recent Art Songs and contemporary music which explore different aspects of Ireland’s national identity. 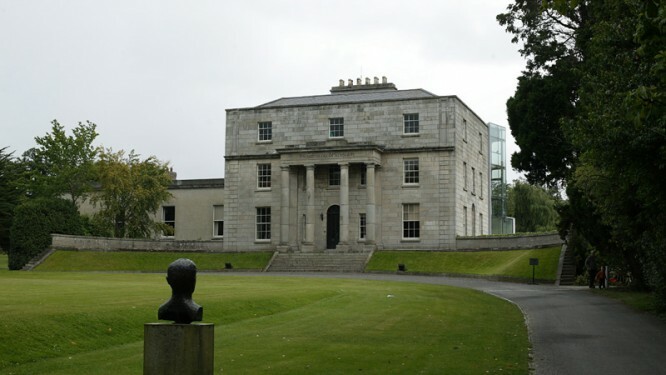 The programme includes a number of pieces which particularly reference the 1916 Rising, including settings of poems by the revolutionary Joseph Mary Plunkett, executed by firing squad just 7 hours after marrying his sweetheart; the very moving setting of Pearse’s poem “The Mother”, by T.C. Kelly, and the traditional air “Róisín Dubh” (or “Dark Rose”, an appellation used for Ireland), which inspired Sean O’Riada’s “Mise Éire” (I am Ireland) score for a 1960s film commemorating the Rising.